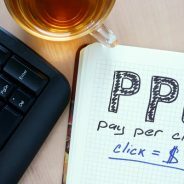 We have seen PPC campaigns for a very specific service, such as a plumber or another professional service such as an accountant, with thousands and thousands of keywords. Many of these keywords have low search volumes and it makes PPC account management very ineffective. What you need to do is focus your campaign on keyword niches that are highly targeted and optimised, or else you will have many rubbish keywords that only generate poor traffic quality. If you have a very large product portfolio, then you may need lots of keywords. For the most part, work with selected, targeted keywords for the best results. You may think that match-types of your keywords are enough to ensure good traffic quality, but you must ensure that you have negative keywords in your campaign. Many campaigns only have a handful of negative keywords, but you should be building your negative keyword list on an ongoing basis. Use your website analytics to see which negative keywords are sending people to your site and include these in your negative keyword list. Your location, among other things. There are so many different things that you can show your users which will help them to decide to choose you over your competitors. Need help with your pay per click advertising? Then contact WSI OMS for online advertising services today.